On Friday, it was my university summerball and I was so excited to head back to Canterbury to see all of my friends and get all dressed up in a pretty little blue dress! Me, Steffy and April, 2 of my housemates for next year started getting ready early - my room was covered with make up and hair products naturally! We then headed out to Dan's house to have a couple of drinks with them before making our way to predrinks. It was so lovely to see everyone and catch up, as everyone has been so busy with exams and placement! I have decided to do an OOTD for what us three girls wore as I thought you might like to see some of the things a couple of people wore. It is one of my favourite things at a ball to see what everyone decides to wear! My dress is from ASOS and it has the most gorgeous back! I unfortunately didn't get a clear photo of this but it was pretty much backless with a few straps making criss-crosses. I absolutely loved the colour of the dress and it was so simple which I also loved. My shoes were from Schuh - forever a girl who loves sparkle! My ring is from Swarovksi, my bracelet is links and my earrings are from a little shop called Corner Cupboard in the town that I live in! Meet April! April's shoes are from office, her dress is from Only, her head jewellery is from Miss Selfridge and her rings are from H and M.
This is Steffy! Her dress is from Miss Selfridge, her shoes are from Dune and her bracelet is from Swarovksi! They both look gorgeous! It was so nice to see them again after a couple of weeks and I can’t wait for next year! Dan is wearing trousers and shoes from Topman, his shirt is from Burton, his tie is from River Island and his tie clip is a family heirloom so we aren't too sure where it is from but I love it anyway! He looked fab. April's bag is from Primark and mine is my Granny's so I have no idea where she got it, but I was pretty impressed with her for having such a gorgeous bag!! After predrinks and alot of pictures, we headed across the road to the campus! It was so nicely laid out, but weird to be in uni when it was dark and under the influence of alcohol. Me, Dan and my friend Mary weaved our way in a bit to boogie away to Scouting for Girls! We just danced the night away for a while, outside by the main stage and then inside too! It was such a laugh and so nice to be reunited with all of my uni friends. There were roughly 20 of us in total, so it was hard to keep together but it was nice that we had been able to spend time together at pre drinks. 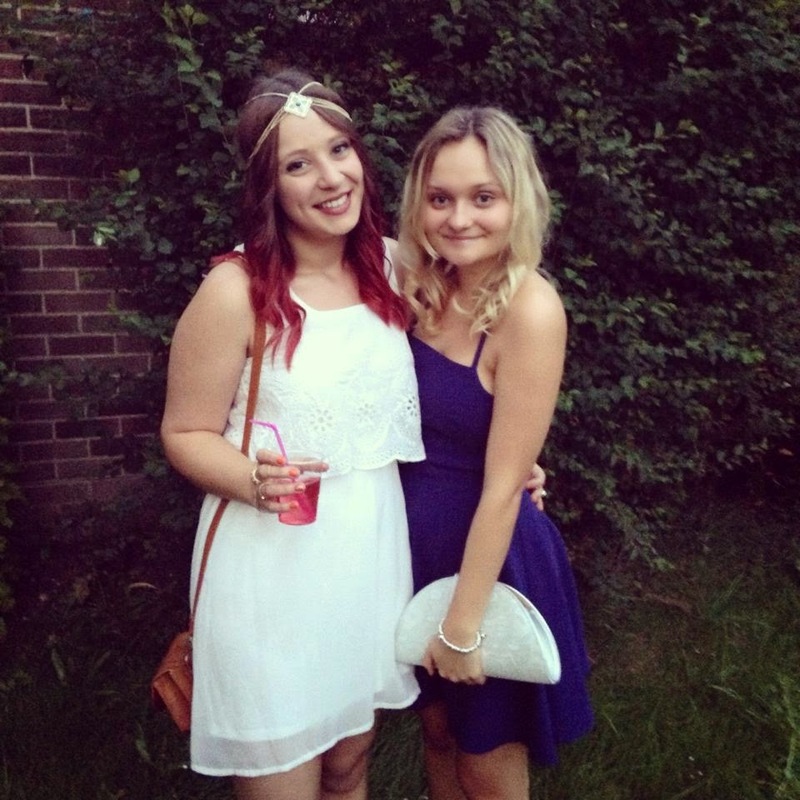 I had a fantastic night at the summerball, it was a great way to end the year! I already can't wait for next years. 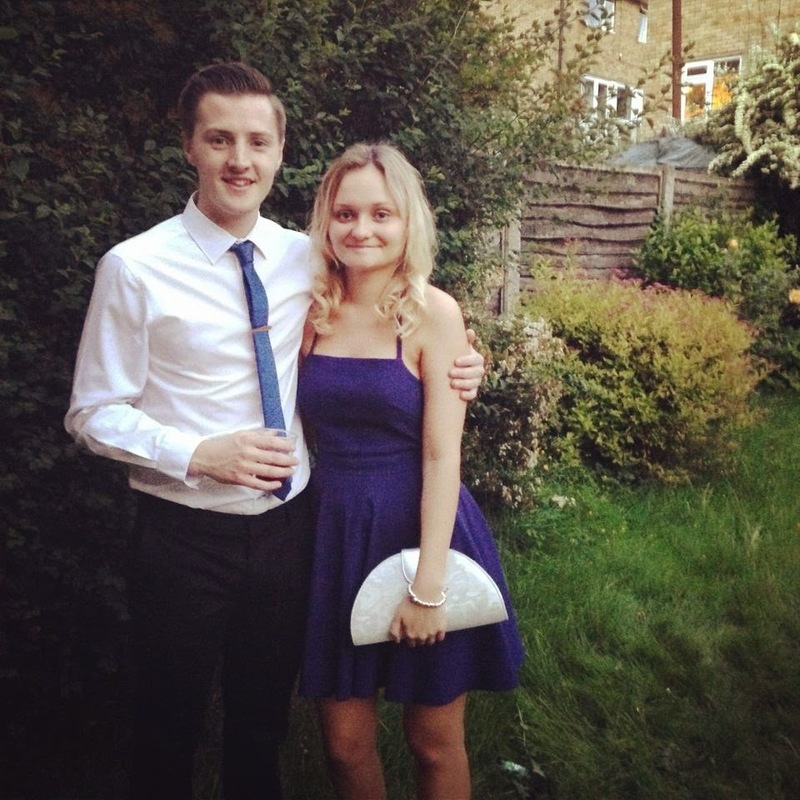 Have you been to a school/university summerball this year? Tell me what you wore!